This is a breadboard friendly, 2.54mm pitch, I2C controlled 8x2 characters LCD board for 3.3V microcontroller. It has the pull-up resistors for I2C bus in it. It is the 2.54mm pitch, so you can plug in the breadboard and Arduino. The pin assignment is same as Arduino Pro 328 - 3.3V/8MHz "Analog" pins which is used for I2C connection. And you can use mbed and RaspberryPi as well. It has the pull-up resistors for I2C bus in it, so all you have to do is to solder pin header you want to use. However, please be aware that you may want to remove the resistors if you connect other I2C devices on the same bus. We have never experienced any problems using this module, but please be aware. 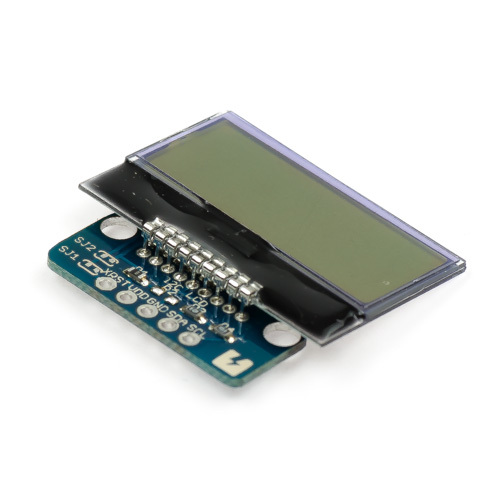 Communication method is I2C, so it does not work with the Arduino standard LCD.